Opening the tube of lipstick sent me into rapture, I had to sit down. The shade reminded me of Hedy Lamarr – 1930’s -1940’s Vixen and Goddess. Hedy Lamarr in her day was described as being the most beautiful woman in the world. She had gorgeous dark hair, big eyes and she wore Red Lipstick. I remember seeing her for the first time on the big screen, she played Delilah in Cecil B DeMille’s Samson & Delilah. I associated being beautiful with strong, independent women who wore Red Lipstick. I couldn’t wait to try on the color, I paired Vixen with lip pencil in Truly Red, it instantly gave me that Je Ne Sais Qua that only a great red can give. The color was lush and gorgeous, the texture was a velvet matte finish that kept my lips hydrated during afternoon coffee. I’m a City Girl in Red Lipstick and I’m wearing Vixen by Youngblood. I’m glad I could help. 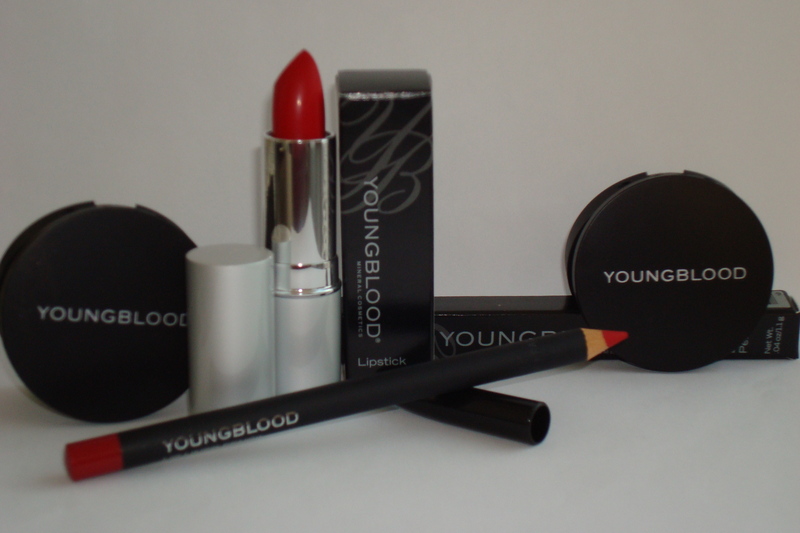 Youngblood makes great mineral based makeup – I love wearing it. I’m still prone to adult acne and find that wearing mineral based products allows my skin to breath and heal.